I was supposed to take yesterday to do my tax prep work. But...I really am not in the mood and still have some time, so I didn't. Bad me. But...I wrote, a lot, and finally got Iris' next chapter Beta work done (bad me - it had been more than two weeks between chapters and I really try to not push things out that far) and I actually let myself get an hour's nap in the afternoon that was sorely needed. It's been slow at the shop, so I was told I could have today off too, but I'm going to go in. I can't desert my staff completely even though it was heaven to have some time away. Greetings from me and my kitties. Isn't it just the funniest pic? 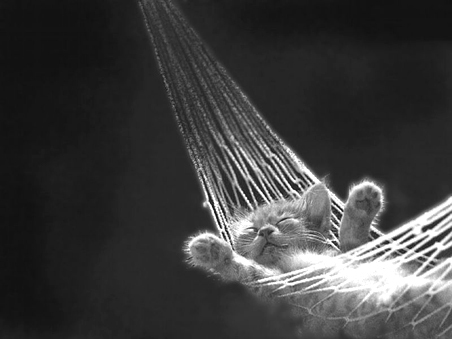 I just had to include it even if I fell asleep on the couch, not in a hammock. *hugs* to you and your four-footed and two-footed companions. 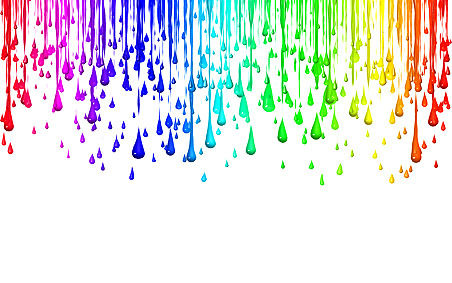 I love colour too - I would love to own the original of that drip painting. Isn't the pic just the kewlest thing? I think it is actually a digital pic, but it was just so striking that I couldn't resist it.